A new monthly feature to the blog, a nice, neat and handy playlist of tracks featured during the month. It was a pretty good month to be fair. There was the return of Joanna Gruesome, Novella, Coves and Akala, with new tracks ahead of their respective albums, and new singles from Du Blonde, Foreign/National, Freedom Fry & Rozi Plain. 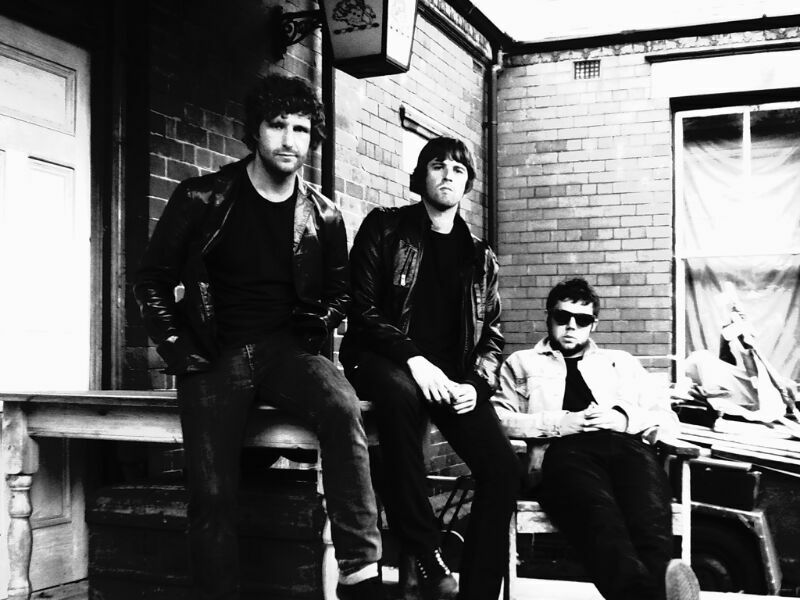 Not to forget the huge news of a new album from Blur and last but not least, the return of Super Furry Animals. 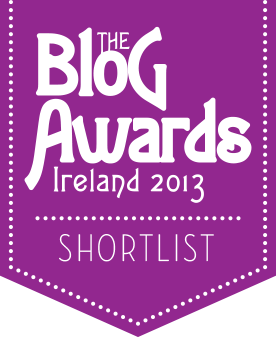 Also featuring on the playlist are: Public Service Broadcasting, TRWBADOR, The Courtneys, SALES, The Earth & Benihana. 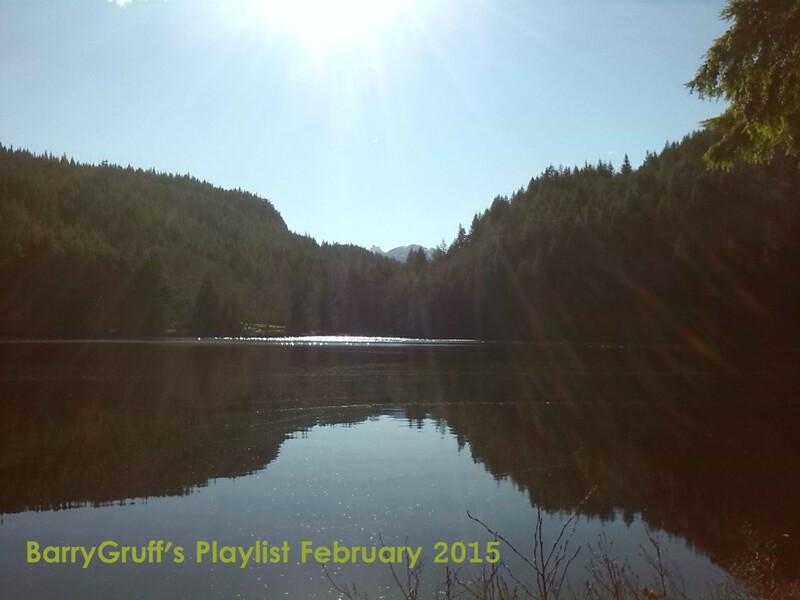 Listen to BarryGruff’s February 2015 playlist below. The full track listing is after the jump. 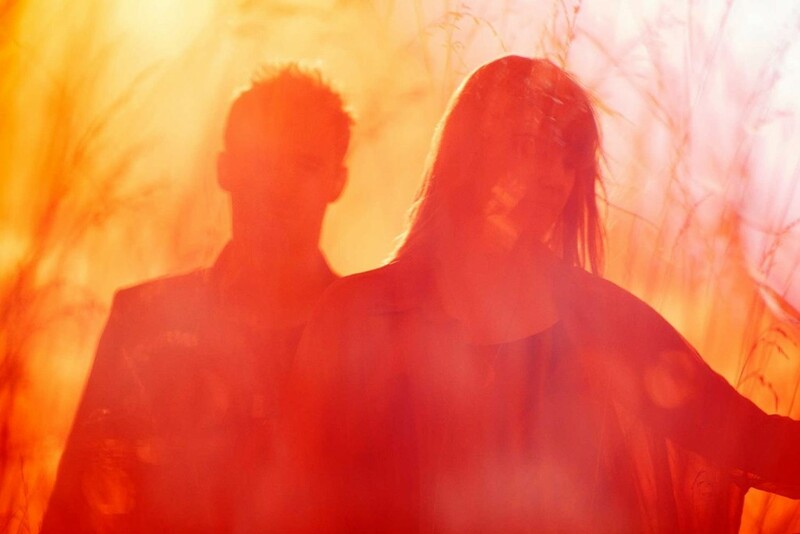 Florida duo SALES will be in Vancouver this week to play the Biltmore Cabaret, on Thursday (March 5th), with support from Mesa Luna & Noble Oak. A collaboration between long-time friends, Lauren Morgan (guitar/vocals) and Jordan Shih (guitar/programming), their splendiferous self-titled debut EP is a marvellous musical feast of inviting, warm and rather charming, quirky indie-pop. Done with a mesmerizing ease and breeze, their songs are simultaneously languid, nonchalant and passionate, somehow uncovering a place where all three can co-exist in perfect harmony. Utterly beautiful, their debut was one of last year’s most loveable records. 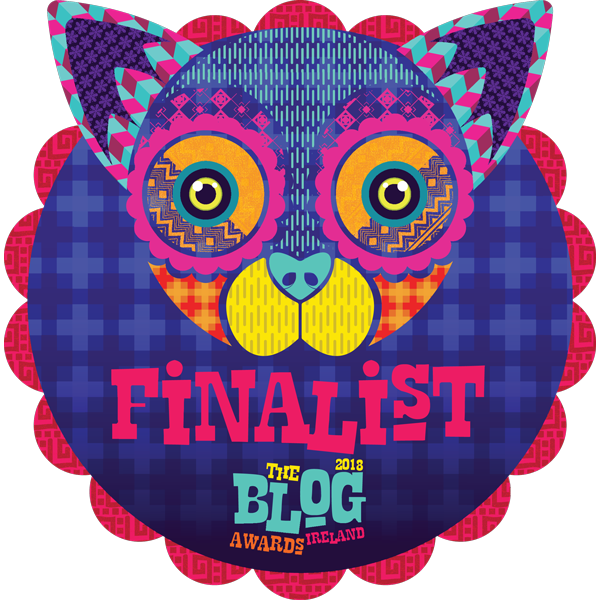 SALES, being the kind-hearted souls that they are, have offered readers of the blog a chance to go to the show on Thursday night. There’s a pair of tickets up for grabs and to be in with a chance of winning all you have to do is simply email your ‘name’ with ‘SALES’ as the subject title to barrygruff[at]gmail[dot]com, before 14:00 (PST) Wednesday, March 4th. If you need any further convincing? There are a few choice cuts from SALES’ sublime debut record below, or you can check out the EP here. Super Furry Animals are back! Having teased us this week with a series of mysterious online videos, Super Furry Animals have announced they will reunite for a series of live shows, their first since 2009, calling time on a six year hiatus. 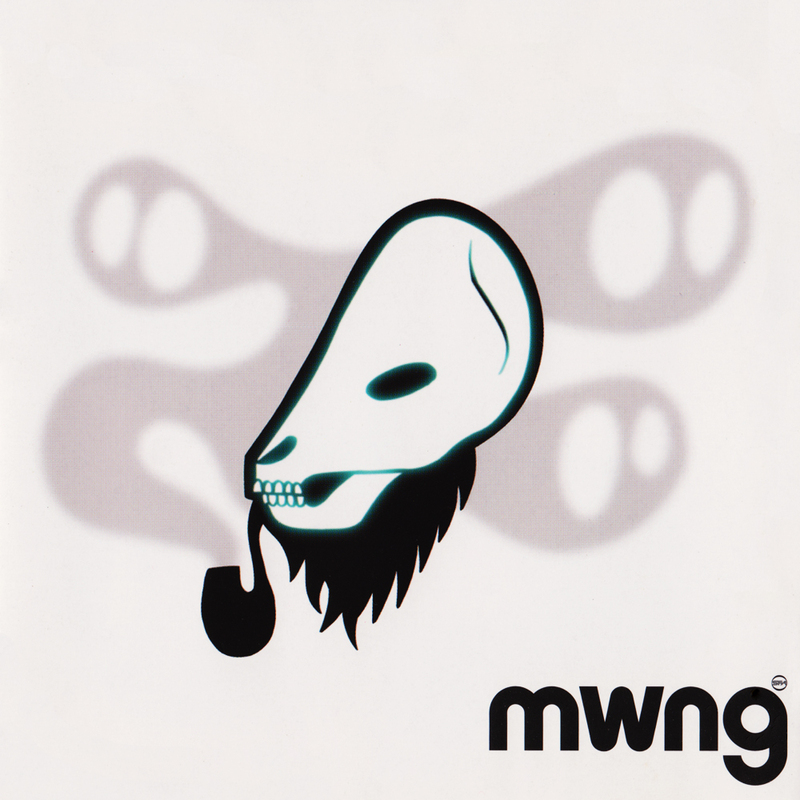 The short tour coincides with a deluxe 15th anniversary reissue of their Welsh language album Mwng, re-released on a Friday, May 1st, timed to coincide with International Worker’s Day. Originally released in 2000 on the band’s own Placid Casual label (between deals with Creation and Sony), the Super Furries’ fourth album was their only Welsh language LP. The biggest selling Welsh language album of all time and praised in the House of Commons for its significant part in promoting the language and culture of Wales, it is a beautiful, warm and inviting record littered with catchy and powerfully emotional tunes. All in all, this is bloody great news! What’s that smell? A Super Furries playlist? Perhaps. Anyone for a quick game of Actua Soccer 2? Those UK tour dates are below and hopefully there will be some more dates further a field added sooner rather than later. Listen to ‘Ymaelodi Â’r Ymylon’ from Mwng below. 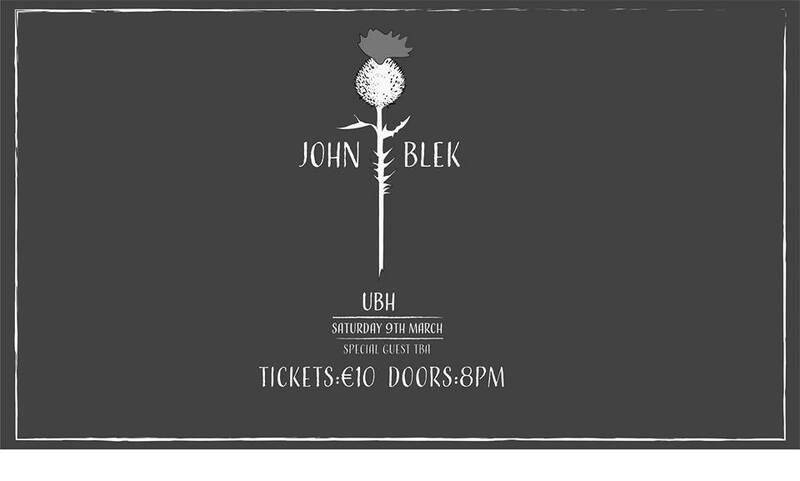 Tickets go on sale Thursday March 5th at 9am. It’s been stressed many times before but there is no harm in reiterating; Super Furry Animals are an exceptionally talented bunch. Surely then with no new SFA records since 2009’s Dark Days/Light Years, and the band’s ongoing indefinite hiatus status, fans have much reason to be glum? Every cloud. That silver lining are the numerous impeccable side-projects this time has facilitated. Gruff Rhys’s solo exploits are well documented but the rest of the Furries have been no less busy or creative. Cian Ciarán has two sublime solo LPs to his name, Outside In and They Are Nothing Without Us, and is working on a new project Zefur Wolves. 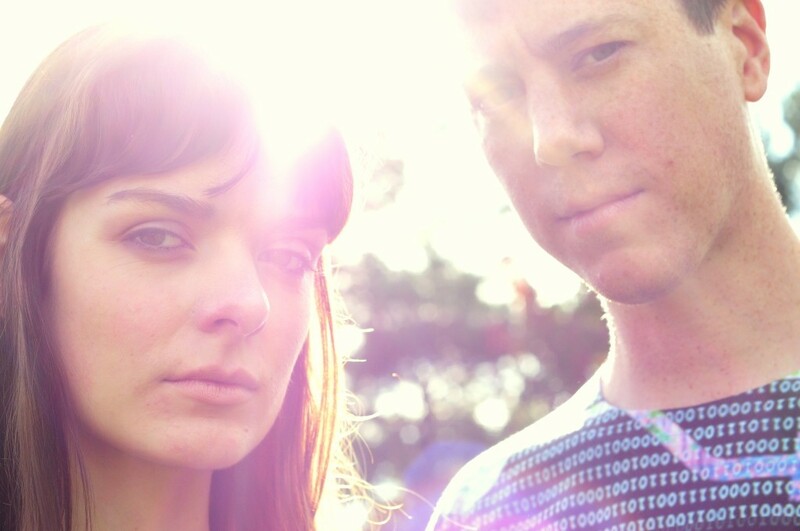 Guto Pryce meanwhile, teamed up with Lindsay Leven for side-project Gulp, delivering a bewitching debut LP, Season Sun. That, in a roundabout way, brings us to The Earth. 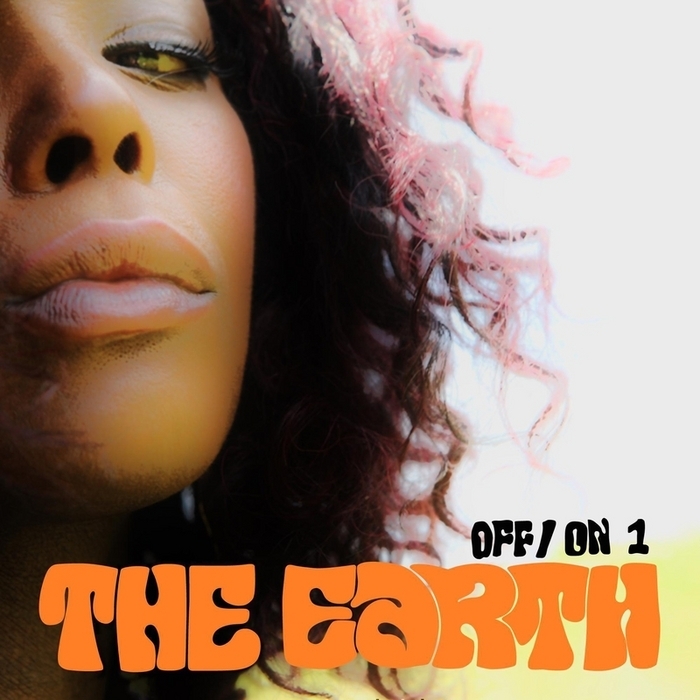 The Earth is Super Furries’ Dafydd Ieuan’s soul-rock side-project with Dionne Bennett, Tristan Marley and Mark Roberts (Catatonia). 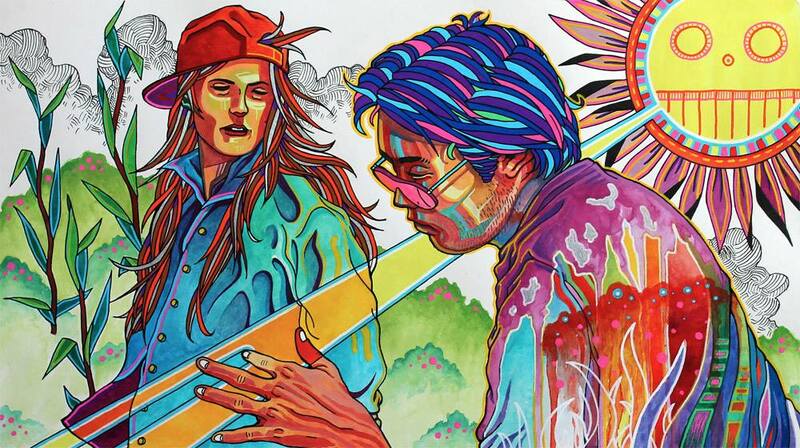 To date they have released an LP, Keltic Voodoo Boogaloo & two EPs, Baby Bones & Liberty Rd. (and possibly more) – all containing the key ingredients of real soul, power and passion, and a groove and coolness. ‘Baby Bones’ is pretty typical. It slowly chugs along, gradually swelling, and gets bigger and more impassioned to envelope everything in its path as Bennett’s powerful, impassioned and oh so soulful vocals rise through the clamour to soar emphatically. That’s the thing really, musically it is exceptional but nothing can steal the limelight from Bennett’s vocal, everything else seems secondary. New single ‘Married 2 Me’ where singer Dionne Bennett luscious vocals duets with Gruff Rhys’ delicious tones, it clicks perfectly to a waltzing-synth-pop backdrop. Magnificent, simple as that. There are a couple of choice cuts to get you started below. You can stream them & more here. Welsh duo Trwbador have released a third single and the title track from their latest album, Several Wolves. Since their formation in 2010, the pairing of Owain Gwilym and Angharad van Rijswijk have thus far yielded many breathtaking and spectacular moments. Trwbador have quite a habit in this regard, and proven a plentiful source of serenely beautiful, otherworldly music, merging folk and glitchy electronica. The latest single ‘Several Wolves’ finds them at the peak of their prowess. Effervescent, inventive and saturated with electronic melodies that swish around the outfit’s folk origins. Pulsating, throbbing bass and synth work skirts around Angharad Van Rijswijk’s distinctive crystalline voice, creating a shadowy, otherworldly feel. It is a gentle collision of worlds, and weaved together with perfection to keep a firm grip of their identity while forging something rather unique. ‘Several Wolves’ is released on April 6th, while the album of the same name is out now (stream here). 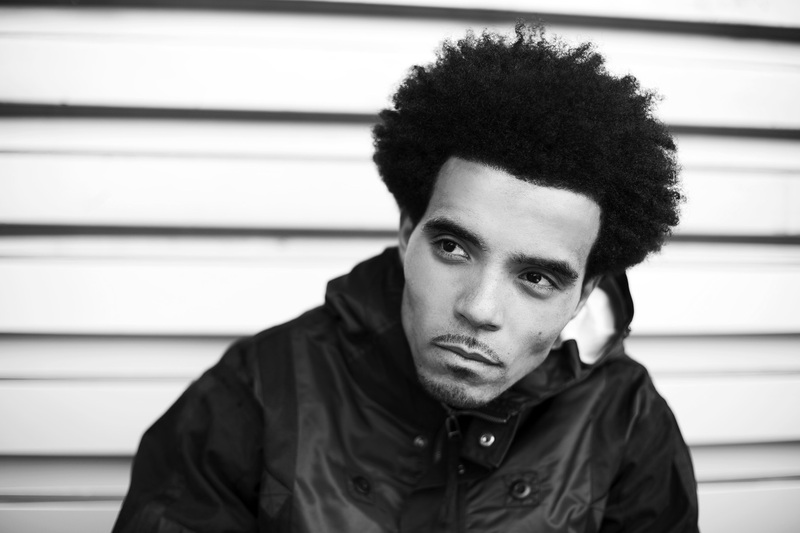 Over the past few years, London MC, Akala has been without a doubt, one of the finest voices in UK hip hop. Always relevant, challenging, thought provoking and a deliverer of great tunes, Akala makes a welcome return with ‘Murder Runs The Globe’. Taken from the MC’s forthcoming fifth album Knowledge Is Power Vol .2, it sees him being usual indomitable self. The message is powerful and passionate as always, as is the delivery, which is a barbed attack on the murder and killing throughout the world by elites to maintain their positions of power and privilege. Akala has consistently proven his calibre over the years, and he would appear to keeping the tradition going. Consequently if you have the time, it is definitely worth checking out his previous four albums – It’s Not A Rumour (2006) and Freedom Lasso (2007), DoubleThink (2010) & The Thieves Banquet (2013). Akala’s new record is penned for release on March 30th but for now? ‘Murder Runs The Globe’ is below. He’s also headed out on tour across the UK & there’s a full list of dates here. 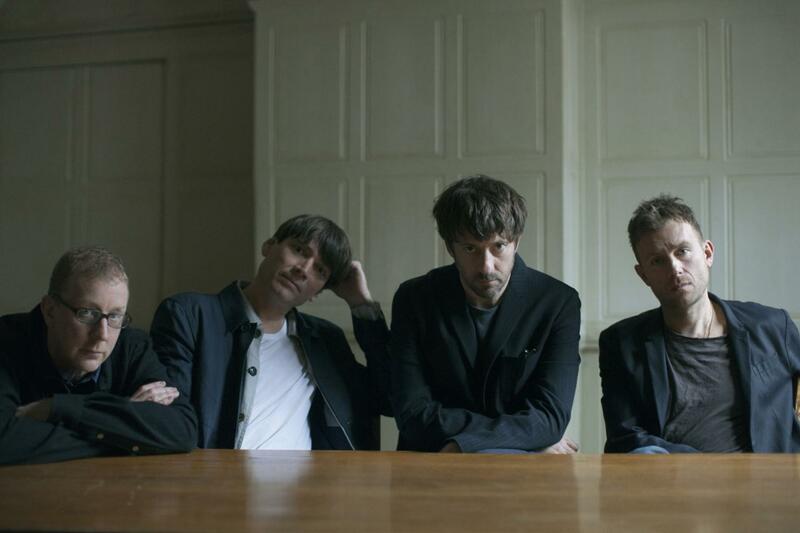 Toward the back end of last week, Blur announced news of The Magic Whip, their first new album for 12 years. News arrived literally out of nowhere, drawing to a close the ‘will they, won’t they’ saga which has festered since their reformation back in 2009. Since ’09 new material has been noticeably lean much to the ire of fans who no doubt wondered if anything more substantial would ever surface (me being one). Aside from gigs, we’ve been privy to three new tracks during that time: the one-off Record Store Day release ‘Fool’s Day‘ in 2010 and double single ‘Under the Westway/The Puritan‘, in 2012. So, yeah, a new album has been a long time coming but accompanying all this fanfare is new single, ‘Go Out’. Sitting somewhere between their self-titled album and 13, the choppy guitar, submerged keys and loping bass provide something of a nervy, stop-start kind of groove. It feels experimental yet immediate, rambling yet to the point and when you get down to it, this is a peculiar little jam – and therein lies its charm. Brilliant stuff. The Magic Whip will be released on 27 April & Blur will also play a show at Hyde Park in London on June 20th, the first of a few more big dates surely? The last time Bright Young People featured here was way back in 2013 with their fuzz-bombed, riff and attitude filled single ‘Liberties’. How time flies? While the Welsh trio won’t be winning any prizes for prolificacy of output, the standard remains gloriously good, and that’s the main thing yeah? Their latest single ‘Solitude’ bares all the hallmarks of its predecessor; ragged, raw, riff filled rock ‘n roll sound. It’s good to see that the intervening time has done little to dampen their spirits or their energy; this is heads down, no messing, unadulterated rock ‘n roll. ‘Solitude’ is but a first taster, and a fine one at that, from Bright Young People’s long-awaited debut EP, Sunshine Town, which is due out on March 23rd. 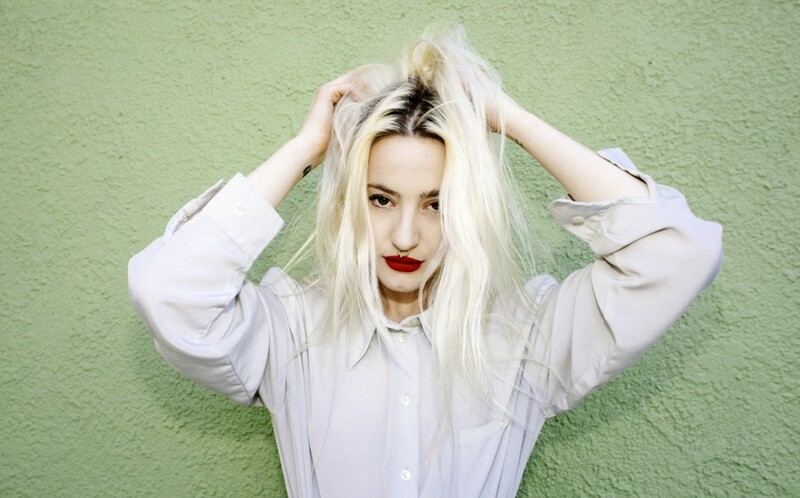 Du Blonde, formerly Beth Jeans Houghton, has returned with a new moniker, new sound, a new single and news of a forthcoming new album. Signalling this change of direction musically is latest single, ‘Black Flag’, offering a first glimpse to what we might expect from this fresh direction and the forthcoming album. ‘Black Flag’ demonstrates this super-charged powerful new sound with devastating effect. Thunderous drums, rumbling bass, heavy guitars and a vocal that burns with anger replace the refreshingly odd, off-beat and experimental pop music done so well by her and her band The Hooves of Destiny. It’s a rather dramatic makeover; raw, savage and done with plenty of poise. Du Blonde’s record will be released sometime in the spring via Mute Records. Listen to ‘Black Flag’ below and get a free download here.